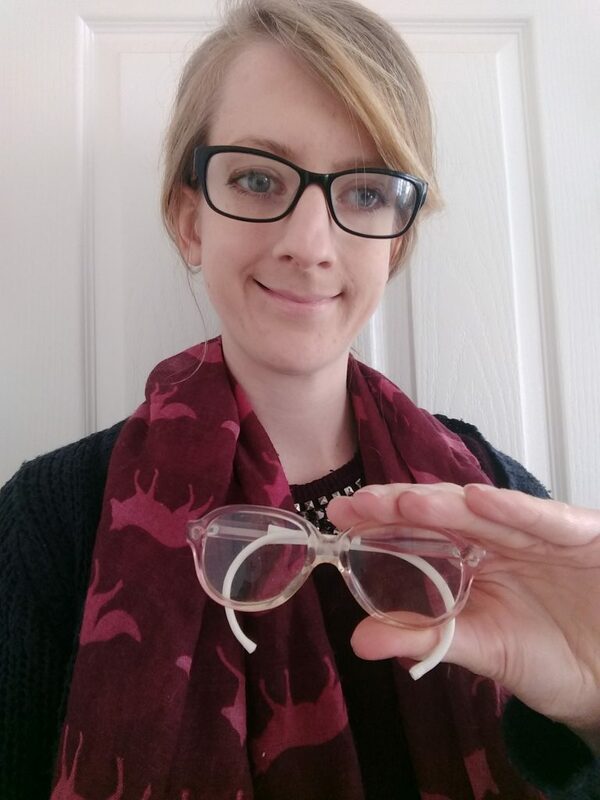 Our researcher Jenny Crane holds her first pair of NHS glasses, prescribed when she was just two years old! The frames she wears today are of a relatively similar style; though they are no longer provided for by the NHS. Posting this led me to dig up childhood photos in my glasses – https://twitter.com/jenny_crane/status/823824542049193986. Interesting that childhood glasses are something that parents keep, treasure, and pass on, whereas now I lose my glasses all the time … is this because of how valuable these objects used to be? Is it about broader sentiment around the storage of childhood memorabilia? Does anyone else still have their childhood NHS glasses?